Crane sued Rolling Optics, asserting infringement of five patents relating to micro-optics systems that project synthetically magnified images. They accuse Rolling Optics of infringing directly and inducing infringement through sales of micro-optic foils that are formed into 3-D holographic-style labels. The patents cover planar arrays of image icons and focusing elements, with an optical spacer or substrate therebetween. Judge Sorokin ruled in Crane’s behalf on a series of summary judgment motions filed by the parties. He denied Rolling Optics’ argument that two claim terms were indefinite, finding that the claims, specification and prosecution history provided enough specificity to survive. 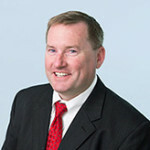 Instead, he sua sponte granted summary judgment that the terms are definite, despite Crane not having so moved, noting that the briefing provided adequate notice to Rolling Optics, there was ample discovery on the issue, and there were no factual disputes relevant to the issue. Judge Sorokin denied summary judgment of invalidity over prior art, in part because assumptions of Rolling Optics’ expert regarding spacing of critical elements taken from figures in the prior art were disregarded because the prior art figures were not drawn to scale. While finding the patents in suit were not entitled to claim priority to a provisional application that was not specifically referenced in the patent applications, Judge Sorokin denied summary judgment of invalidity due to the on-sale bar due to the existence of fact issues relating to whether potentially prior uses were experimental or were on-sale bars. Summary judgment of infringement was granted as to certain products that Rolling Optics failed to provide evidence of non-infringement due to the low volume of potentially infringing sales, and as to other products on which Rolling Optics’ claim construction arguments did not prevail. Rolling Optics’ motion for summary judgment was denied with respect to induced infringement, because the evidence laid forth a factual dispute over whether Rolling Optics knew that labels it sold were being applied to products sold in the United States. Finally, Judge Sorokin found factual issues in dispute regarding the language of an early notice letter regarding the patents and denied Rolling Optics’ motion for summary judgment with respect to notice and damages. Previous Previous post: Andover Healthcare, Inc. v. Johnson & Johnson Consumer Inc. (17-cv-10620). Next Next post: Broadcast Music, Inc. et al. v. Blue Paws Inc. et al. (18-cv-30017).